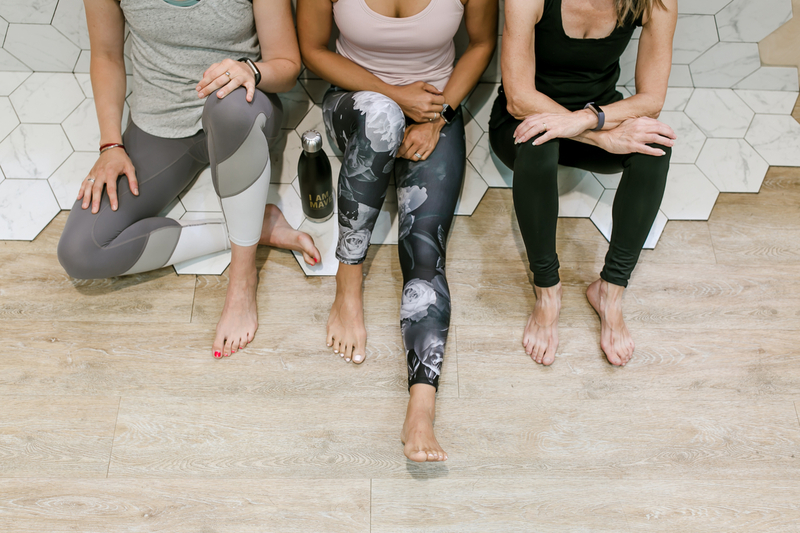 To prepare yourself for the best workout possible, you know what you need to have on hand: enough water to hydrate you before, during and after, solid shoes for whatever type of exercise you’re performing, a positive attitude and some quality activewear that fits your body type. We all come in different shapes and sizes, which is why that last one is so important. Workout clothing that is too big, too small or just doesn’t fit right will only cause you discomfort and take away from the workout you’re trying to accomplish. Not sure what type of activewear is most ideal for your body shape? We’re here to help! Scroll through to find out the best activewear picks for every type of figure. If you have those old-Hollywood, Marilyn Monroe-esque curves, defined by a narrow waist and a hip and bust circumference that almost matches, you’ll want to seek out activewear that allows those curves to be free rather than contained. To accentuate curves for both aesthetics and comfort, Toni Ferrara, a celebrity stylist who’s dressed Kim Kardashian, Matthew McConaughey and Kate Beckinsale, suggests going with a classic crop top. “It shows off your waist in a flattering way, while balancing your bust and hips,” she says. The very opposite of the inverted triangle is the pear — a smaller bust width and a larger hip circumference (think J.Lo and Kim Kardashian). Ferrara recommends highlighting this body type with brightly colored or printed sports bra to create the illusion of more of a balance from bust to hips. “Petite is usually described as a smaller frame under 5’3″, but a petite frame can still have a pear, apple, hourglass or straight shape,” says Ferrara. “To flatter the classic petite frame, it’s best to find sports bras with thinner straps, as adding bulky straps can make a petite frame look disproportionate.” Luckily, most activewear brands offer a petite length in leggings. If you’re looking to elongate the appearance of your bottom half, Ferrara suggests shopping for a legging with a stripe down the side to lengthen the legs and visually add inches to a petite frame.